welcome to this week’s edition of the brainpickings.org newsletterby Maria Popova. If you missed last week’s digest — Toni Morrison on wisdom in the age of information, a lyrical illustrated meditation on loneliness, Anne Gilchrist’s stunning love letters to Whitman — you can catch up right here. 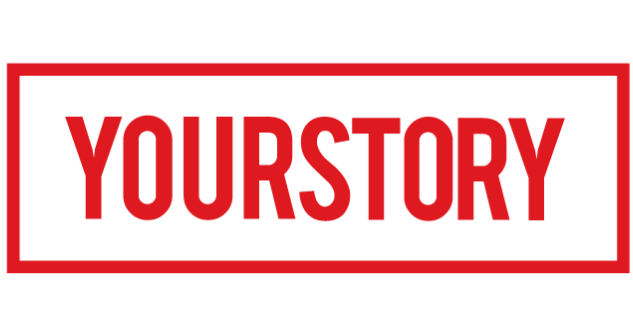 And if you are enjoying this labor of love, please consider supporting it with a donation – I spend innumerable hours and tremendous resources on it each week, and every little bit of support helps enormously. If you already donate: THANK YOU. “The tree which moves some to tears of joy is in the eyes of others only a green thing which stands in the way… As a man is, so he sees,” William Blake (November 28, 1757–August 12, 1827) wrote in his most beautiful letter — a soaring defense of the imagination. A genius both tragic and transcendent, Blake was among humanity’s deepest and farthest seers — of truth, of beauty, of the universe in a grain of sand, of the human conditionin a fly. His poetry and art went on to influence generations of creators as varied as Where the Wild Things Are author Maurice Sendak, who built his own singular sensibility upon a Blakean foundation, to Allen Ginsberg, who so cherished Blake that he recorded a strange and wonderful LPsinging Blake’s Songs of Innocence with an electric orchestra. But no artist in our time, and possibly none in all of time, has been a more spirited exponent of Blake’s enduring genius than Patti Smith. Smith discovered Blake as a girl, after her mother purchased for her at a church bazaar a handsome 1927 edition of his Songs of Innocence, faithful to the 1789 original, which Blake printed and illuminated himself. Mesmerized by the exquisite marriage of text and image, the young Patti spent hours deciphering Blake’s calligraphy and absorbing every detail of his rich, sensitive illustrations. She returned to him again and againthroughout her life, holding him up as consolation for the strife of struggling artists and eventually honoring him in a song. When her dear friend and mentor Allen Ginsberg fell mortally ill, she fetched a volume of Blake bound in blood-red leather from his library — a copy in which, she recalls, “each poem was deeply annotated in Allen’s hand, just as Blake had annotated Milton” — and read it by his dying bedside. The eternal loom spins the immaculate word. The word forms the pulp and sinew of innocence. A newborn cries as the cord is severed, seeming to extinguish memory of the miraculous. Thus we are condemned to staggerrootless upon the earth in search for our fingerprint on the cosmos. William Blake never let go of the loom’s golden skein. The celestialsource stayed bright within him, the casts of heaven moving freely in his sightline. He was the loom’s loom, spinning the fiber of revelation; offering songs of social injustice, the sexual potency of nature, and the blessedness of the lamb. The multiple aspects of woven love. His angels entreat, drawing him through the natural aspects of their kingdom into the womb of prophecy. He dips his ladle into the spring of inspiration, the flux of creation. He is a messenger and a god himself. Deliverer, receptacle and fount. William Blake felt that all men possessed visionarypower… He did not jealously guard his vision; he shared it through his work and called upon us to animate the creative spirit within us. To take on Blake is not to be alone. That includes the book you are holding and the hand that holds it. Complement with Smith on the two kinds of masterpieces and the crucial difference between writing poetry and songwriting, then revisit Esperanza Spalding’s performance of Blake’s existential poem “The Fly” and the brilliant, underappreciated Alfred Kazin on Blake and the tragic genius of outsiderdom. Or you can become a SpontaneousSupporter with a one-time donation in any amount. A century before Peter Rabbit creator Beatrix Potter revolutionized mycology with hergroundbreaking studies and illustrations of mushrooms, which she was banned from presenting at London’s Linnaean Society on account of her gender, another Englishwoman of uncommon acumen overrode the limitations of her time and place to become one of the most esteemed natural history illustrators in human history with her drawings of Pacific, African, American, and Australian fauna. Stone was still in her late teens when commissions from prominent collectors flooded in — most notably, from Sir Ashton Lever, who hired her to illustrate the objects in his famed natural history and ethnographymuseum, the Holophusikon, including curiosities Captain Cook had brought back from his historic voyages. In her late twenties, Stone illustrated the 1790 book Journal of a Voyage to New South Wales and did for the animals of Australia what Maria Merian had done for the butterflies of South America in the previous century. In this golden age of scientific discovery, vast audiences poured into the Leverian Museum to savor the splendors of faraway fauna, transported by Stone’s drawings. A number of them are the first studies of the respective species, granting them a singular place in the social history of natural history. Some of them depict species now entirely extinct or gravelyendangered, like the potoroo — a marsupial the size of a rabbit, with the posture of a kangaroo. Others portray strange, wondrous, and wondrously named creatures like the bird of paradise, the variegatedlizard, and the doubtful sparus. Complement with the 17th-century astronomical art of Maria Clara Eimmart and the pioneering sea algae cyanotypes of Anna Atkins — the world’s first known woman to take a photograph and the first person to publish a book illustrated with photographic images — then revisit thesemasterpieces of natural history illustration, drawn from the rare book collection of the American Museum of Natural History. Such a transformative understanding is what historian Jill Leporefurnishes in These Truths: A History of the United States (public library) — a masterwork of poetic scholarship that stands as one of the most compelling and captivating books I have ever read. With uncommon intellectual elegance, Lepore explores the intertwinedsinews of democracy’s making and unmaking: technology as a tool that encodes both the ideals and the biases of its society; the heroisms of thought and action that chipped away at the monolith of injustice upon which the nation was founded; the market manipulations and professionalized preying on the human animal’s weaknesses that gave rise to consumerism and public relations and “fake news” and the NRA. Emanating from these pages is a reminder that the history of the United States is a history of bias and brutality and hubris, but it is also a history of idealism and hard work and soaring optimism. What emerges is an invitation to regard these tessellated truths and conflicting motive forces with an equanimous understanding that can inform a juster, more beautiful, and less conflicted future. Can a political society really be governed by reflection and election, by reason and truth, rather than by accident and violence, by prejudice and deceit? Is there any arrangement of government — any constitution — by which it’s possible for a people to rule themselves, justlyand fairly, and as equals, through the exercise of judgment and care? Or are their efforts, no matter their constitutions, fated to be corrupted, their judgment muddled by demagoguery, their reason abandoned for fury? Lepore examines the myriad elements of this ongoing experiment in the remainder of These Truths — one of those rare books that crown theexplainer-elucidator-enchanter hierarchy of nonfiction, a book revelatory and replete with insight even for those of us who are not American. Complement it with Walt Whitman — the poet laureate of democracy — on optimism as a force of resistance and Hannah Arendt on action and the pursuit of happiness. Imagine this – you pick your pen to finish your homework, and almost immediately, the doors to dreamland open up – there are fairies hovering around, a monster in the cupboard, and the words in the notebook mean nothing at all. And for kids today, it’s worse as they fight the temptation of cell phones and video games. Let’s admit it – all of us – ok, most of us, have needed constant supervision to finish our homework. And now, there is an addition to the list of ‘homework watchers’. A man in China has trained the family’s pet dog to ensure his daughter did her homework, and did not use the cell phone. Talk of the most adorable member of the family turning taskmaster! A cruise is the ultimate definition of a luxurious vacation, isn’t it? And that being the case, those who have built lasting memories on their cruise vacation have Ratna Chadha to thank, after all she is the one who brought cruises to India. After having been a part of the travel industry for 39 years, the CEO of TIRUN Travel Marketing is ready to hang up her boots – in style. Tea is to its artist what wine is to a sommelier, insists Susmita Das Gupta, Founder of Smart iDeAS and a tea expert. She goes on to add, “tea is never cooked, it’s brewed.” From answering queries like which tea is the healthiest, to how to brew the perfect cup, the tea connoisseur traces her journey to making her love for tea a full-time job. Art can bring issues in the society to the fore. And that’s exactly what real-life Gully Boys Tamil Nadu-based ‘The Casteless Collective’ is doing – spurring its own hip-hop movement, engaging with the political and social issues . The band, which includes four rappers, seven instrumentalists, and eight gaana musicians, has rapped celebrating Ambedkar’s tirelessfight against the caste divide in Bhim Rap, and condemned honour killings in the name ofcaste. Lina Ashar, Founder of Kangaroo Kids Education, answers our Proust questionnaire. No prizes for knowing she loves to teach, but there are some about her you did not know – like her favourite authors are Andy Andrews and Bruce Lipton, and that she’d love to have the talent to sing. As city-dwellers, we have our lives compartmentalised into weekdays and weekends. Between hustling and pursuing the things we love. But, what if you could do more of the latter? Mansee and Nikhil Thard are trying to answer this question through Lahe Lahe – a genre-agnostic space for anybody who wants to create, express, and more. 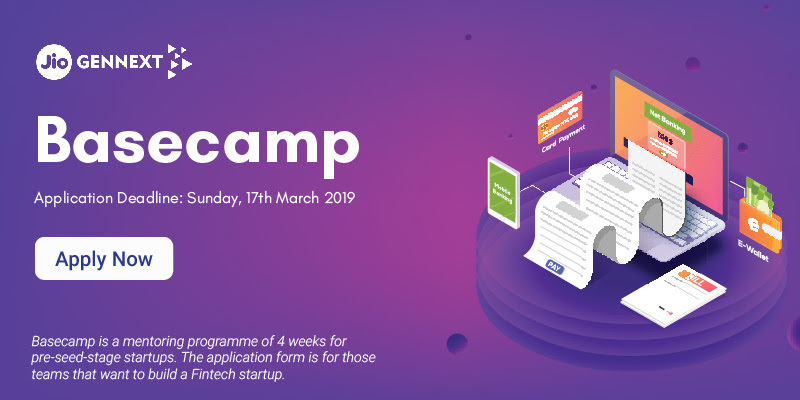 If you’re looking to build a fintech startup, apply for the JioGenNext Basecamp, a four-week residential programme to help you get mentored by successful fintech founders, and validate your solutions with real customer feedback.